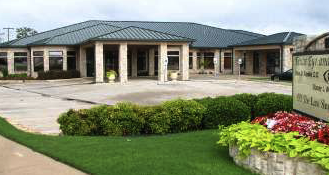 Texas Eye and Laser Center has added an Eye Surgery Center to its Hurst location. This new ambulatory surgery center (ASC) provides patients with outpatient eye surgery. The center features comprehensive services, including pre-surgical testing, support and recovery rooms, and two state-of-the-art operating rooms (ORs) housed in a modern and comfortable building with easy access to parking for our patients. With the collective vision of Drs. Brian Ranelle and Jerry Hu and the administrative leaders of Texas Eye and Laser Center, we have been able to create a magnificent facility that offers the patients Blade-Free LASIK, LifeStyle Lens cataract surgery, and ambulatory care in a comfortable and convenient setting in the Fort Worth area. This new facility provides the community with an effective and greatly needed resource that makes it possible for us to provide immediate and convenient care to our ophthalmology patients.